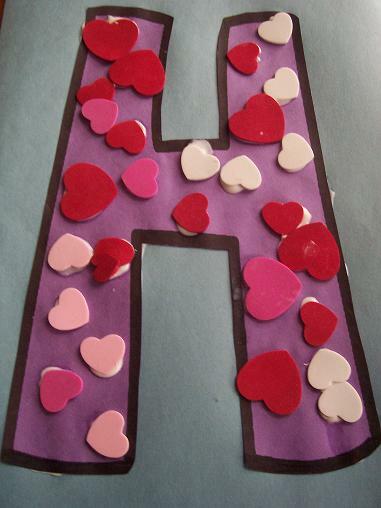 Here is our art project for the letter H this week, which I once again found at No Time for Flashcards. 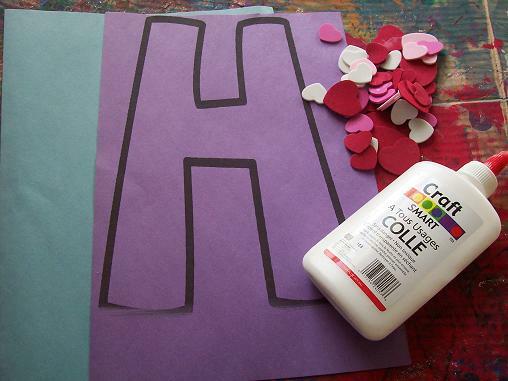 Here’s what you’ll need: the letter H on construction paper, another piece of construction paper to glue your finished H on, some glue and some hearts. 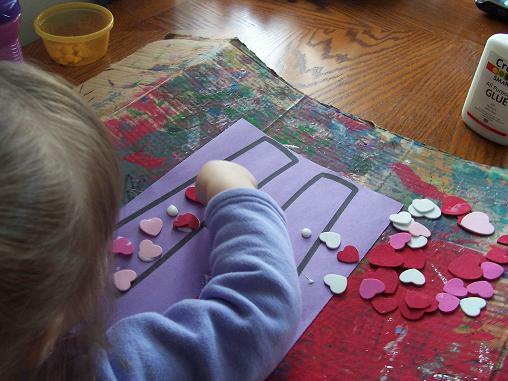 Glue the hearts onto the letter H.